Learn How To WriteA Survey Today! 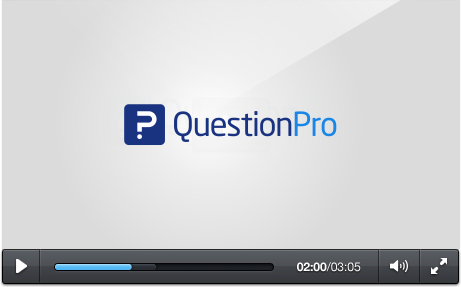 Easily Learn How To Survey Respondents With Questionnaires Using QuestionPro. Start Today For Free! 3. Upload questions you already have. All of the features on QuestionPro are optimized for mobile, so you can create surveys on your smartphone or tablet devices. 1. Pre-Made Templates: With over 100 ready made surveys in the template library, QuestionPro covers many topics including customer satisfaction, market research and more. This option is great for leaning how to write a survey, for they give you a great idea as to the structure and content of a questionnaire. Click here to view the library and gain some ideas for learning how to survey respondents. 2. A Blank Slate: You can choose to start from a completely blank survey template and experiment with how to write your questionnaire. Choose from a variety of question types. 3. Upload: You can import questions or complete surveys you may already have for further editing and customization, using Microsoft Word. The most important step is deciding who your respondents should be. If you're trying to discover more information about the latest social media trends, you should probably survey younger people in their 20's, not those in their 80's. When you write your survey, you want to make sure you construct it in a way that yields the most unbiased results. This is where survey templates come in handy - an excellent resource for brainstorming ideas. Your distribution method can be just as important as the questions you ask. Be sure to think about the best possible delivery method, whether it's through email, social media or other interactive methods like creating a QR code. When your results have come in, be sure to study and examine your answers from multiple perspectives. Think with an open mind, outside the box, not jumping to any conclusions and being sure to perform multiple types of analysis. Step 3: Choose the method for survey creation you'd like to begin with. You can start with a blank template, picking question types as you go, upload existing questions that you want to use with your survey, or browse the template library for editing ready made templates or generating some ideas. You can also customize your survey by changing the fonts and colors of your questionnaire. How are you able to create a survey? 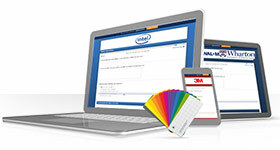 Can you browse a vast template library that contains over 100 ready made surveys for you to use or edit and customize? What about starting from a blank template and choosing from simple or advanced questions to construct your survey with? If you already have a questionnaire that you'd like to use, can you use Microsoft Word to easily import it right into the editor? How about customization? Can you easily change the font and color of your survey, or are you given access to the CSS? When you choose QuestionPro, you can have all of these features, plus more! Now that your survey is created, what can you do to send it out to your respondents? Are you able to easily upload a list of email addresses that you can use to easily send it out to? 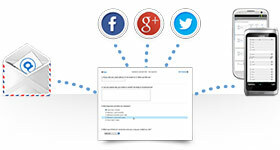 How about posting your survey to your social media channels like Facebook, Twitter and LinkedIn? Are you able to simply embed your survey to your blog or website using provided HTML code? If you need your survey to be conducted offline are you able to perform that? 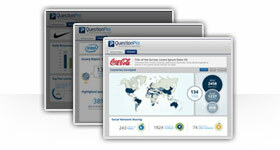 QuestionPro offers all of the above, plus a lot more. When your survey results start rolling in, what are your options in terms of reporting and analysis? Can you view a simple summary and see how many people have taken your survey and the average time it took them to finish? When you've decided you have enough results to report on, can you create infographics and word clouds to visually represent your data? How about analysis? Can you easily perform trend or TURF analysis, as well as filtering data and creating cross tabs for large amounts of information? 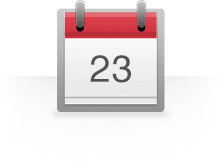 If you need to simply back up your results, can you do so using Dropbox or Google Docs from within the interface? 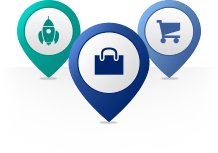 Everything mentioned above is available with QuestionPro, plus even more. When your account is created and established, you're able to immediately start creating surveys. You have quite a few options for choosing how you'd like to continue. You can browse the template library to help you generate some ideas or to choose a survey that you'd like to edit and customize for your own use. If you need to start from a blank template, you can choose from a variety of questions types that range from basic to advanced, in addition to implementing branching logic. 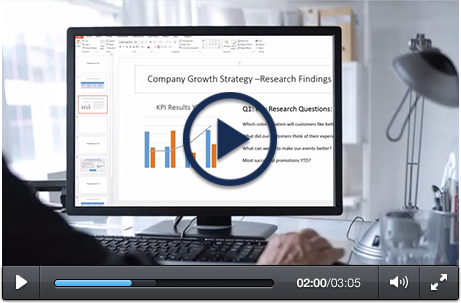 If you have an existing survey that you'd like to use, you can import it into the QuestionPro editor with Microsoft Word. Once your survey is created, you can deliver it to your respondents through several different methods. If you have your respondents' email addresses, you can upload them directly into QuestionPro, making mass distribution of your questionnaire simple and quick. You can use the provided HTML code to easily embed your survey onto your website or blog for other to view. In addition, you post your questionnaire to your social media channels using QuestionPro, or simply generate a unique QR code for direct access to your survey. When your responses start coming in, you can start analyzing and reporting your results. You can start with creating professional looking infographics and word clouds with just a few clicks. For analysis, you can filter data, create pivot tables, as well as perform trend and TURF analysis. If you need to export your data, you can download a direct data file, export it to cloud services such as Dropbox or Google Docs.